Let me explain: twelve months ago I returned from a business trip to the US with swollen joints and after many medical appointments, tests, x-rays etc I was eventually diagnosed with a rare disease. As a result of this I have been under the care of a number of -ologists including a rheumatologist, a neurologist and a cardiologist. I have also, as you may imagine, been on various medications, among them high dose steroids which have resulted in both weight gain and the dreaded “moon-face”. Having recently started a new course of treatment that makes me slightly more susceptible to skin cancer it also offers an additional layer of protection from the sun’s rays. 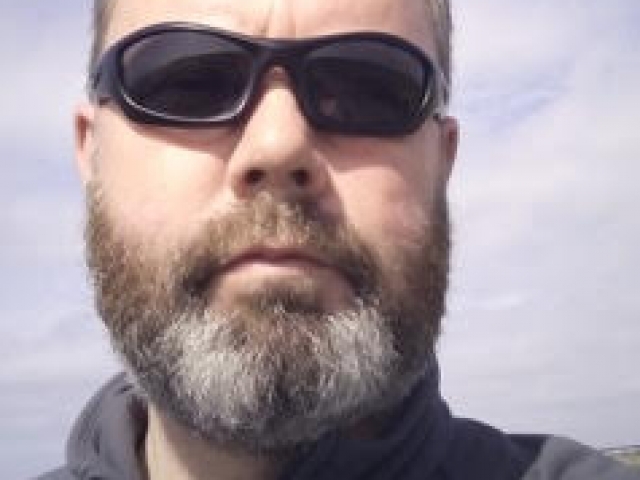 The downside of my recent recruitment to the ranks of the hirsute was my wife’s protestations that the Ernest Hemingway look wasn’t to her liking. Since I am given to understand that “He who sacrifices his beard for a woman deserves neither” we have at the present time, reached a stubbly truce. In my current world of uncertainty my beard offers both certainty and an air of rebellion against life’s challenges. What’s not to like?.. Previous ArticleTrimmer Tycoon got Greenlit!